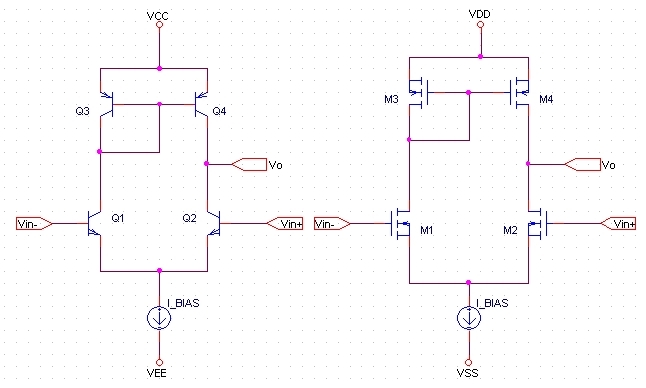 Any op-amp worth its salt has a differential amplifier at its front end, and you’re nobody if you can’t design one yourself. 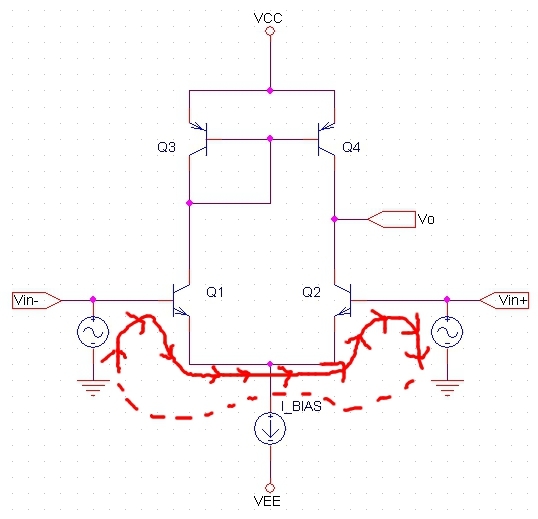 So, this article presents a general method for biasing and analyzing the performance characteristics of single-stage BJT and MOSFET differential amplifier circuits. The following images show the general schematic for both kinds of differential amplifiers, often referred to as a differential input stage when used in designing op-amps. Notice that these types of differential amplifiers use active loads to achieve wide swing and high gain. 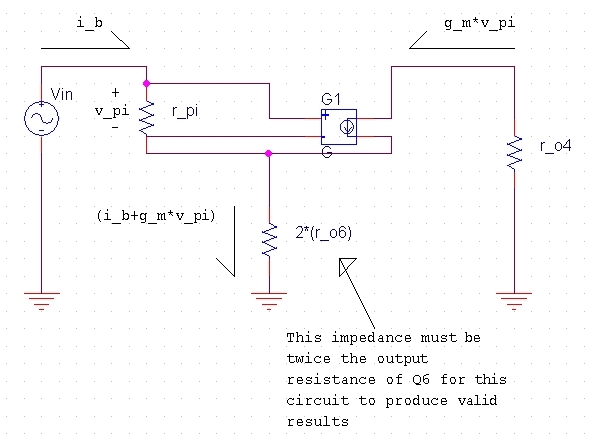 Due to design processes and the nature of the devices involved, BJT circuits are “simpler” to analyze than their FET counterparts, whose circuits require a few extra steps when calculating performance parameters. 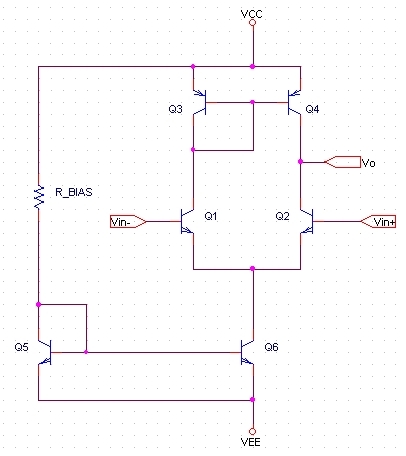 For this reason, this tutorial will begin by biasing and analyzing a BJT differential amplifier circuit, and then will move on to do the same for a FET differential amplifier. But it should be noted that the procedures to analyze these types of differential amplifiers are virtually the same. The common-mode input impedance is the impedance that common-mode input signals “see.” One can analyze the common mode input impedance ( ) by, again, “cutting the differential amplifier in half” and analyzing one side the resulting schematic, assuming a common mode signal. This can be found by observing the figure 6, above. 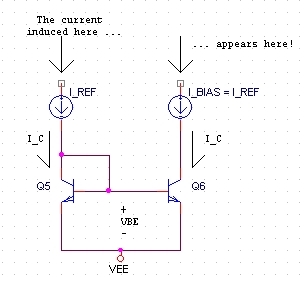 Analyzing BJTs in a circuit is more simple because all base-emitter voltages are assumed to be equal. But this is not the case for mosfets, and one must analyze the above equation (or others) to find device voltages. But there is the threshold voltage – the minimum gate-to-source voltage that will allow for any conduction whatsoever. The threshold voltage is a result of the FET fabrication process, and is typically provided on datasheets for each FET gender. So this must be checked when analyzing these types of circuits. where is the channel-length modulation parameter. 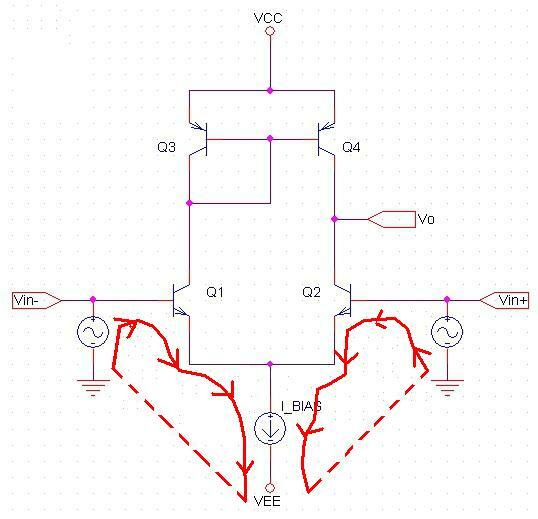 From this little discussion, you should be able to apply the principles used to analyze the BJT differential amplifier to the analysis of a FET-based differential amplifier. But, of course, if you would like to see a FET differential amplifier explained in more detail, do not hesitate to ask a question! This post was created in March 2011 by Kansas State University Electrical Engineering student Safa Khamis. A million thank yous extended to Safa for taking the time to document this important process for everyone else to learn from. Please leave questions, comments, or ask a question in the questions section of the website.